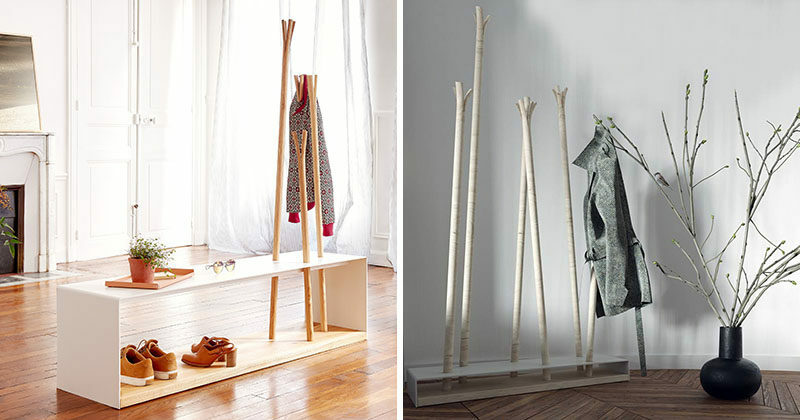 Ulyana Zachkevych and Stanislav Boychuk of Ukrainian design brand MZPA, have designed a duo of coat stands named Hilka. The word Hilka comes from the Ukrainian language and means branch, which is appropriate since the coat stands have branches made from Ash that pierce the surface of the stands. The first design has a bench with storage for shoes, while the second coat stand has a vacant spot for an umbrella.